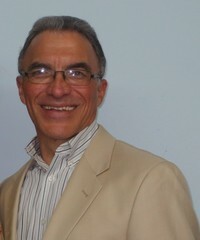 Pastor Gene Fulcher earned his doctorate in theology from Louisiana Baptist University in Shreveport, LA, in 1990. His ministry has spanned over four decades, surrendering to preach at 15. The Lord has blessed with over 1,200 people uniting with the churches he has pastored through the years, many of these by conversion and baptism. In addition to his duties as a pastor, Bro. Fulcher served as President of Northwest Arkansas Bible College for 3 years and served as a faculty member of the college for nine years. Dr. Fulcher has made numerous foreign mission trips, and has conducted over 100 revival meetings in eleven different states. He is married to Sue Ann Fulcher, who is a guidance counselor at Holcomb Elementary in Fayetteville. Bro. & Mrs. Fulcher have 2 grown children and one granddaughter. Pastor Fulcher is an avid sports fan, loves to hunt, fish, and spend time with his family.